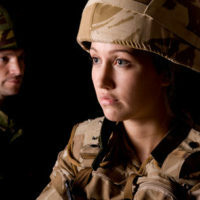 When one or both members of a couple are members of the United States military, there are special considerations the couple must make if they choose to divorce. These considerations include when and where to file for divorce and how to divide military benefits. If you are considering filing for divorce, speak with an experienced divorce lawyer to discuss any special considerations you will have to make because of your or your spouse’s position as a service member and any other factors that may be present. At their core, military divorces have many similarities to civilian divorces. A married couple’s assets must be divided fairly between them and if the couple has children, a suitable, sustainable timesharing agreement and appropriate child support order must be put in place. But there are a few key differences between divorces involving service members and divorces strictly among civilians. One of these is when a military divorce can be initiated. Under the Servicemembers Civil Relief Act (SCRA), divorce proceedings involving a service member cannot be initiated while he or she is on active duty or within 60 days following his or her active duty. Each state has residency requirements for individuals who wish to file for divorce. Because military members are often stationed on bases far from their home states, residency requirements are somewhat relaxed for members of the military. Individuals who live or are stationed in Florida may file for divorce in the state. When a military couple divorces, their property must be divided according to the state laws of the state where they file the divorce. In Florida, this means that they must be divided according to the doctrine of equitable distribution. Similarly, the requirements regarding their child support and timesharing orders are made using Florida’s laws. Property accrued during a marriage must be divided according to each spouse’s personal needs following the divorce. Military members have access to certain benefits that civilians cannot access the same way you would in a civilian divorce, such as military pensions and Thrift Savings Plans. Individuals whose marriages to service members meet specific timeframe guidelines can also access certain benefits like TRICARE and commissary privileges after their divorces under the Uniformed Services Former Spouse Protection Act. If an individual does not meet these guidelines, he or she loses access to the privileges provided by this act once his or her divorce is final. If you are considering filing for divorce in the near future, there are many issues that could impact your divorce. One of these is if you or your spouse is a current or former member of the United States military. To learn more about the issues that military couples can face from the divorce process, contact our team of experienced Orlando divorce lawyers at the office of Goodblatt · Leo today to set up your initial consultation in our office.